Make Woodstock your next weekend getaway this summer! Why? Because it's AMAZING there, on top of being the legendary home of the Woodstock festival. This is where some of the best musicians of all time rocked out and made a name for themselves. It's also just a really nice place to explore and disconnect from your life. WATCH the video below that I made of my favorite things to do and see in Woodstock. I went to Woodstock because my publicist was having a 30th birthday party Upstate. And before all our friends gathered together for it, I went exploring! I ate, I shopped and caught some rays on a giant inflatable swan at my hotel. I made a video about that too, RIGHT HERE. As you can see from my video diary, there's so much to do in Woodstuck but my favorite part was walking around the town and hopping into vintage stores. The flea market on Maple Lane right in the center of town was incredible! From flourless peanut butter cookies to 1904 St. Louis World's Fair postcards, I made out pretty well with my purchases. My dad is a collector of all things 1904 World's Fair and I needed a belated Father's Day gift, so I was stoked to say the least. The man with the endless postcard collection for sale was quite a character. I guess I'd have to say that everyone at this market was intriguing, selling the most unique items in really great condition. But you'll also find the farmer's truck with all kinds of beautiful vegetables and fruit. Nothing at this market is expensive so if you walk in with $20, you've got enough to walk out with a bag full of stuff. Make sure you grab peaches while you're there so you can whip up this delectable peach caprese salad dish that was prepared at my publicist's birthday dinner! OMG, it was BEYOND GOOD! And if you like food like this, I highly recommend checking out 2 more restaurants that weren't mentioned in my video. Garden Cafe on Old Forge road is a wonderful indoor/outdoor vegan restaurant where you can eat and easily listen to bands playing right across the street in Woodstock Square. Bare Cafe is another good one. It's located in Bearsville on Tinker Street (Route 212) and has gorgeous views of the creek behind it if you request a table near the window or outside on the terrace. The restaurant is housed within the frame of an old barn. All the entrées are incredible and I highly recommend sharing an appetizer because the serving sizes are so big that you might over-order. Yes, the portions are THAT plentiful! As far as shopping, the only boutique I left out in my video is a shop called Funkanova on Tinker Street that caters to modern bohemian clientelle. Everything they have is one of kind and not cheap, but definitely incredibly stylish. You'll be inspired just browsing. Party or not, I hope something wonderful draws you Upstate to Woodstock, New York. The summer is a nice time to visit because you can go on a bunch of ourdoor adventures. There's a sculpture park nearby and a few hikes that I've heard are fantastic. 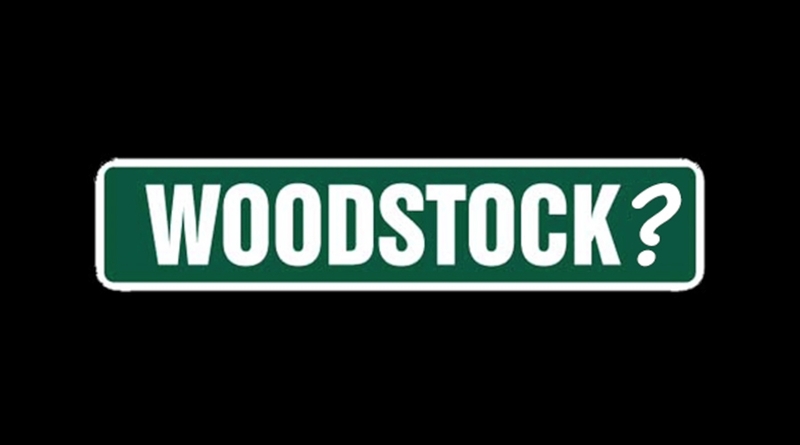 For additional ideas, check out this article on Woodstock.